The Dynafit Radical ST binding is the Radical version of the classic Vertical ST. Note that Radical is capitalized, as that is a product line difference and not an unrestricted license for you to get Rad. 6mm plates under the toe and heel transfer power across a wide surface area for extra stability and control at speed. Speed Step heel climbing bar offering 2 riser heights in addition to flat, which can be flicked into place with a pole after a little practice. Power Towers on the toe pieces help guide your boots into the pincers, with bonus protection from side impacts. A full 25mm of fore/aft heel adjustment adapts to various boot sole lengths, which can increase the resale value as more people can step in. Brakes are included with 92mm, 100mm, and 110mm options* to match the width of your ski. The brakes have a glide plate intended to reduce friction from rubber boot soles when releasing sideways. Anti-rotational device on the brakes ensures the heel piece doesn't rotate accidentally and put you in ski mode while skinning. 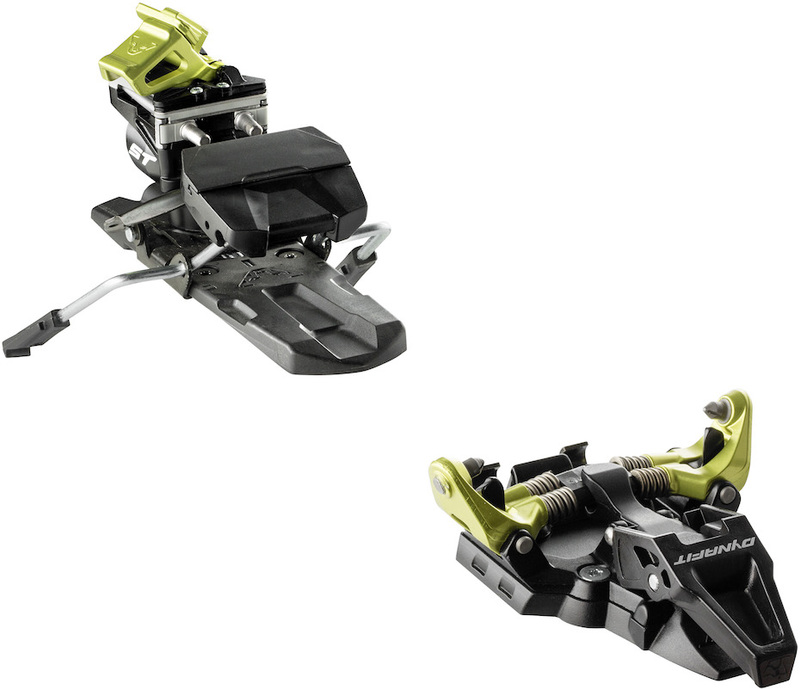 Crampon slots are designed to hold Dynafit ski crampons for those steep and greasy skin tracks. **Please ensure the ski brakes you select fall between 15mm less to 2mm more in width compared to the ski underfoot. Update 2018/19: The Radical ST is back and lighter than ever! Dynafit changed from steel to aluminum in the toe piece, ensuring time-tested performance both up and down but at a weight savings of 30g per side. 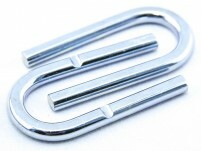 The binding also gets new anodizing for a sleeker look. Bottom Line Good balance between weight, performance, and safety. Just bought some Dynafit Speedfit 84's. on the Radical ST, will the 92's work? Will they be sticking out wider than the ski? Hey Cody! Yeah, they should work just fine! They'll be sticking out a little bit, but definitely not too much for concern. Hello! I have the Hoji W 171cm skis, and am looking for a binding that will be used in the resort and for some straightforward backcountry, are these a good choice or would you recommend something else? The waist width on my skis are 112mm, what would you recommend for binding size? Thanks! Hey Katie! Yeah these have a lot of potential to work. I think as long as your ideal release values line up within the range of these bindings then they'll do really well! Find your release value using our calculator here if you're interested. As for brake width though I think the 110mm will do fine. Dynafit sized these brakes pretty conservatively and there's a bit of buffer zone built in so I think they'll do just fine. Worst case you can bend the brakes out just a little bit to clear properly but I don't think you'll even need to go that far. Hi! 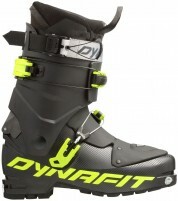 And one more question-- Is the Dynafit - ST Rotation 10 the newer and more recent version of this binding? And as far as brake width on the newer binding would the 105mm work you think? Thanks! Hey Katie! The Rotation 10 is an upgraded binding by about two generations worth of technology. They're designed to occupy the same place in Dynafit's lineup but the ST Rotation 10 packs a whole lot more technology (and weight) than the Radical ST does. I think for straightforward backcountry with very limited or no resort use the Radical ST is way more than adequate and the ST Rotation 10 is a good choice as well but only worth it if you need the added features that come with it. Okay, so I guess my question is, of their most recent binding line up, what binding is the best option for primary resort use, with some basic and straightforward backcountry use thrown in? Hey Katie! Ha, dang, sorry if I didn't answer your question appropriately the first time! For primarily resort use I'd definitely recommend the ST Rotation 10 because of the extra release technology and DIN Certification thrown in. It acts much more like an alpine binding on the way down while still having all the touring benefits of a tech binding. Okay and would you compare the Rotations compared to BD Fritschis tecton 12? Hey Katie! Kinda, but in an apples to oranges kind of a way. The Tecton is much burlier and functions even closer to an alpine binding than the Rotation 10 does. The Tecton definitely has a resort bias to it. Send me an email at help@skimo.co if you have any further questions and we can get to the bottom of this! Thanks- I sent one in regards to an earlier conversation with Nate- Maybe you can add to it- Thanks so much for your patience, and help! Hey Chris! 25mm total fore/aft (meaning when the heel piece is centered in the track you can move it +/-12.5mm) which is generally enough for about 2.5 boot sizes but it depends on the exact boots you're trying to accommodate. Hi, do you still have some Radical ST available? My girlfriend just bought a pair of 110 mm skis and is stumped to try to find a new pair of dynafits with brakes that will fit. 105 mm radical st 2.0s seem like the closest next best thing, but if you have a radical st in 110 mm I think that would be the ticket. Hi Nathan, unfortunately those are all gone, sorry. Yes the Rad 2s would be a good match. Or the Plum Guide 110s. Do ALL of the Dynafit Vertical models have the same 5-hole toe piece mount? I picked up a pair of skis that unfortunately had the toe piece mounted twice, and now I can't mount ANY binding except what was there before, which was a pair of Verticals but I don't know the specific model. Thanks for any info you can pass along! Hey John! Yup, all of the Vertical model bindings have the 5 hole toe piece. Send me an email at help@skimo.co if you have any further questions about binding compatibility! I just ordered 4frnt Aretha, 102 underfoot. What brake size would be best? Hey Caitlin! The 100mm brake will be fine. If you have any issues you can always bend the arms out just enough for it to clear upon deployment. The brakes will often times fit a ski up to 5mm wider than the manufacturer suggests with no problems. Hey! My armada vjj's skis are 116 underfoot. What break size is best? The 100 sounds too small and the 130 too big??? Thanks! Hi Bri, there are some 110mm brakes available separately, but you may have to bend those out slightly. No 120s were made. The 130s will work OK.
Will 130mm brakes with Radical ST Binding be good choice on Chugach (107 mm waist) skis? Should I look for 120mm brakes? Hi Vadim, 130 will overhang a bit more than ideal. The next size down is 110mm which you may still find somewhere. We also sell them separately under our listing for Dynafit brakes. Can you remove the brakes entirely? I understand the Speed binding would be the model w/o brakes but I want this binding because of the plate under the front binding of which the Speed does not have. Thanks. Hi Charlie, it's possible to hack them off but it's not recommended. The anti-twist mechanism which prevents unwanted rotation while touring is affixed to the brakes. Best bet is the Speed Rad plus B&D or Dynafit toe shims. Hi can I switch out the breakarms on the radical ST? Hi Blake, the arms aren't designed to be changed by themselves, though it is possible. Dynafit sells brake kits if you want to replace the whole base plate. At 5'9" and 190 lbs, 298ish sole length, would the 10 din work for me? I usually set my dins at about a 9-11 depending on what I'm doing, so I'm a little concerned about maxing out the din. Any input..? Hi Rich, looks like you are fluctuating between type III & III+ skier settings for your size (provided you are between 10 & 49 yrs old). Given that, it's not ideal for you to hover near the maximum binding settings. While you could probably deal with it, a binding that goes up to 12 would give you a little more breathing room. 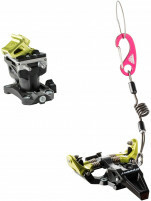 Check out the Radical FT, Plum Guide, G3 Ion, or Fritschi Vipec. What is the difference between the Radical ST and the Speed Radical? Hi Steve, mechanically the bindings are the virtually the same. The primary difference is the ST has brakes and the Speed Rad does not (it comes with leashes). Hi Nick, the brakes migrate inwards on top of the ski as they are being retracted, so you shouldn't have any issue with drag. Depending on your boot sole length, the ski may widen enough to require bending of the 100s which can compromise the stopping ability. It's probably possible to get those to work, but not necessary. I use these bindings as well as the Speed Radical. Upgrading to the radical was inspired, in part, by the fact that the brakes on ST bindings seem to be pretty mediocre, even with mid-fat (90mm) skis. I've had to chase a ski more than once when it glided down despite having the brakes extended. I still use these (ST) for touring with skinnier skis, especially inbounds. I have 88mm waist G3 Zenocide skis, I presume I should be using a 92mm brake size if using the Radical ST, is this correct? Also are the Radical ST with 92mm brake you are selling the 2013/2014 models or earlier? Hi Billy, yes, the 92mm would be the best brake size for the 88's. All the Radicals we have in stock are from this season with the new spring in the heels that allow the housing to slide backward. I have "K2 Shreditor 112 Skis - Men's - 2014" with the Specs:Tip/Waist/Tail Widths: 135/112/130. Just wondering which size of the brake width should I buy from this DYNAFIT RADICAL ST BINDING ? Also, can this "brake" be removable ? Hi Mac. There are a couple millimeters of wiggle room with the widths, so the 110mm brakes should work. For comparison, DPS recommends the 110mm brakes for their 112mm skis. The 130s would also work, but hang over the edges a bit more. The brakes aren't designed to be removed but can be cut off with some effort. Note there is an anti-rotation feature built into the brake mechanism that prevents the binding from rotating into ski mode when skinning. Removing the whole brake will disable this feature.